Bitter orange is a controversial weight loss supplement. It has been used for centuries to treat a variety of health conditions, but recently it has shifted to focus more on its role in obesity. There is some scientific proof that ingredients found in bitter orange can aid in weight loss, but its safety is questionable. 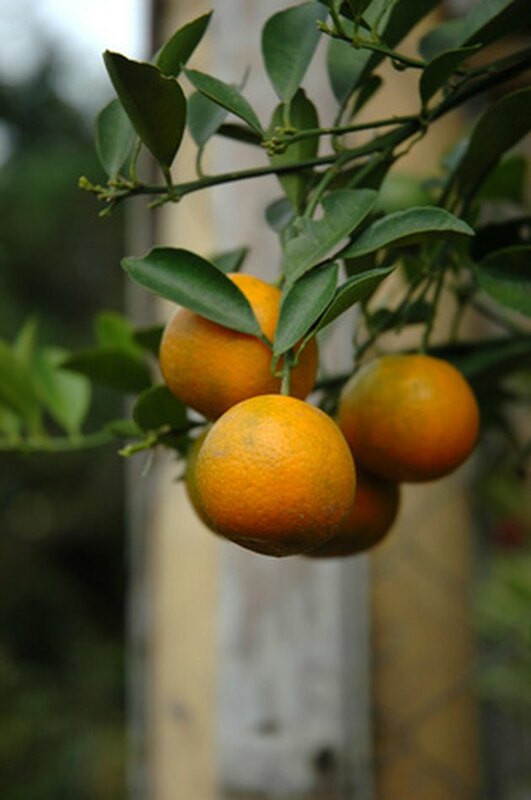 Bitter orange, also called citrus aurantium, Seville orange and sour orange, comes from a tree and is originally native to Asia and the Mediterranean but now is cultivated in warm environments like California and Hawaii. Its usage dates back hundreds of years as a medicinal supplement for the relief of constipation, stomach pains and cramps. Typically, the fruit and the peel are used, although sometimes the flower and leaves are incorporated. It can be taken orally or applied to the skin as oil. In oral form, it is available as a capsule, extract or tablet. The oil that comes from the flower is called neroli, and the oil that comes from the leaf is called petitgrain. It has been used on the skin as a treatment for ringworm or other fungus. Current oral uses are for the treatment of heartburn, congestion, loss of appetite and weight loss, but further studies need to be conducted to test its efficacy and safety. Bitter orange contains an alkaloid called synephrine, which is similar to ephedra, a drug banned by the Food and Drug Administration because of dangerous blood pressure elevations. It is unclear whether synephrine has the same degree of response as ephedra. In a six-week study published in "Current Therapeutic Research," scientists gave bitter orange, caffeine, and St. Johns Wort to a small group of people, and placebo to another group. The group taking bitter orange lost a significant amount of weight, while the placebo group did not, indicating that bitter orange, caffeine and St. John's Wort have significant fat loss properties. No formal studies have been conducted on dosage of bitter orange so it may vary in people. Drugs.com states that reasonable weight loss can be achieved with 32 milligrams per day of synephrine in obese individuals. It is advised to follow the manufacturer's label and not exceed the recommended dose. In a study published in "The Annals of Pharmacotherapy," researchers found that a single dose of bitter orange significantly raises resting heart rate and blood pressure for up to five hours when compared to placebo. This rise in blood pressure can cause headaches and migraines, dizziness, fainting and is sometimes associated with heart attacks or sudden death. Bitter orange can also have bad reactions with over-the-counter and prescription medications.Talk to a doctor before using.